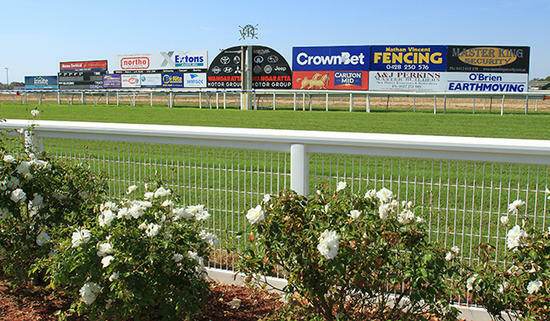 The team at Craig Widdison Racing will supply three runners at this stage to the Wangaratta turf club meeting on Thursday the 16th of March, with an 8 event program to be contested, though showers are apparent. The first of the stable runners will see a career first starter in, Cash Crisis to compete in the Insight Real Estate Maiden Plate over 1100 m with Nick Souquet aboard jumping from barrier seven in a current field of eight. Cash Crisis is a three-year-old Brown gelding by Master Of Design from the dam, Out Of Credit and is prepared for this outing via a Wangaratta barrier trial on March 6, finishing third of 8, 1.50 lengths of the winner Yulong Xiongzhuang over 900 m with Nick Souquet the pilot. Race three on the program will see the McGregor Machinery three-year-old maiden plate over 1170 m with another career first timer in Pretty Pine to be ridden by Ms. Linda Meech jumping from barrier one with a field of 11 to compete at this stage. Pretty Pine is a three-year-old Bay Filly by Elvstroem out of Ournie, having prepared for this outing via a Wangaratta barrier trial on March 6, Arriving fifth of 6, 5 lengths behind the heat winner Ilovethislady in a time of 52.89. The final stable entrant will compete in the Sam Miranda Wines, BM58 handicap over 1170 m with Murrawee, needing one scratching for this runner to gain entry from the fourth emergency spot to be right by Nick Souquet, jumping from barrier (4). Murrawee is a four-year-old Bay gelding having raced on nine occasions for one win and one placing earning prize money exceeding $10,000. Last time out he raced at Wodonga, finishing towards the tail on that occasion, resuming with a heat trial at Wangaratta on March 6 finishing third of 8 over, 900 m with Nick Souquet the pilot arriving 4.80 lengths behind the heat winner Tycoon Tony in 59.21. The stable wishes connections of these three runners the best of luck should they run at Wangaratta on Thursday.